Disney villains going to high school? It’s evil High School Musical! Home ☢ Disney Movies ☢ Disney villains going to high school? It’s evil High School Musical! Yes, this is really a thing. Descendants is going to be a Disney Channel original movie directed by the same guy who did High School Musical, Kenny Ortega, but this time the kids attending high school are the descendants of Disney villains. Guess what? Kristin Chenoweth of Wicked fame is already being cast as Maleficent, according to Entertainment Weekly. Take that, Angelina Jolie! Chenoweth is brilliant and will bring a comedic edge to this dark role (and will hopefully ban Botox from her kingdom once and for all). I’m still weeping for the loss of her show GCB, so I am always eager to find out what comedic performances she has in store for us next. Her daughter will be Mal, to be portrayed by Dove Cameron. Jay will be Booboo Stewart, son of Jafar. Evie is — can you guess? — the daughter of the Evil Queen, to be played by Sofia Carson. Of course we can’t overlook Cruella de Vil. Her son Carlos will be navigating the sheer heaven (or is it hell?) that is high school. And finally we have Belle and the Beast’s son Ben, played by Mitchell Hope. 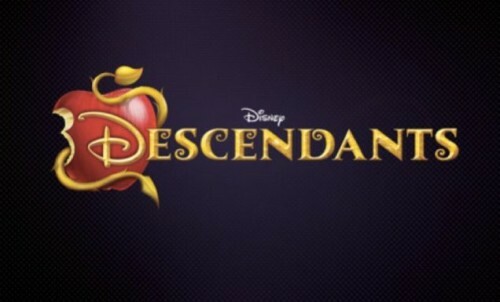 I can’t help but think that Descendants is going to be a mashup. I happen to agree with Meredith Woerner that it’s a mistake to assemble characters from different time periods: Cruella de Vil is from the fifties, Meredith points out. What is she doing in princess land? Also, the names are too obvious, not truly creative in Disney’s usual style: “Evie” for Evil Queen, “Mal” for Maleficent, etc. Recently the My Little Ponies went to high school in the form of the Equestria Girls, and the result was and is truly cringe-worthy. I hate to see Disney exploit these timeless classic characters as part of a marketing grab that doesn’t seem well thought out. I hope they prove me wrong!